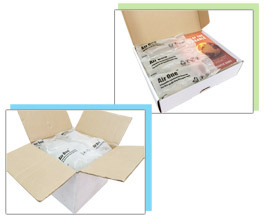 AirOne® Inflatable Cushioning System is designed to protect the your products during shipment. Multiple type of airbag is ideal to fit into different packaging needs. Thanks for the innovative functions and big screen control panel, it provides our customers to maximize their productivity and minimize the cost. Unsurpassed speed – The production rate of AirOne® is at 60feet (18m) per minute. Cost-effectiveness – You are not only saving the storage cost, but also have a money-saving benefit on the shipping cost obviously. Eco-Friendly - AirOne® is comply with the RoHS standard and it is also Reusable, Reduceable and Recycable. Ergonomic design - AirOne® can be operated by an optional pedal, it is easy and ideal to integrate at different packing line. User-Friendly – Only One minute training is needed. Your packer will definitely give AirOne® a “Like”.